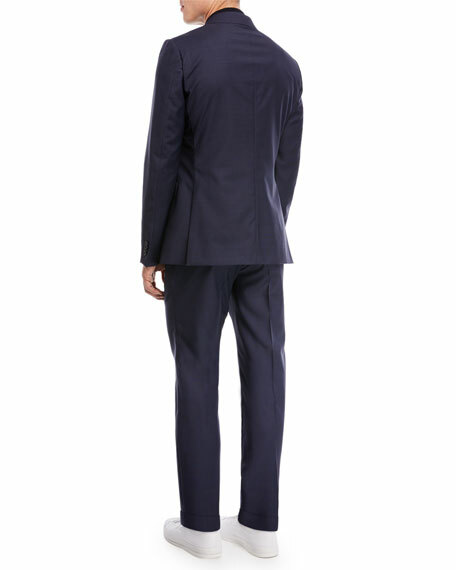 Z Zegna two-piece suit in solid wool. 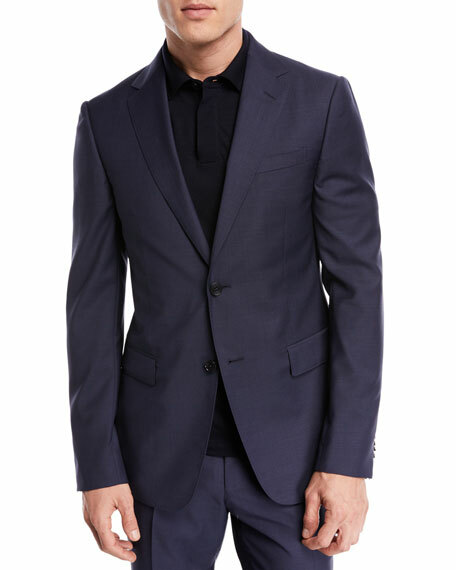 Ermenegildo Zegna two-piece suit in textured, summer-weight weave. Notch lapel; two-button front. Basted sleeves. Lightly padded shoulder. Front patch pockets; chest welt pocket. Trim fit. Double vent. Straight-leg pants. Trofeo® wool/linen. Made in Switzerland. Model's measurements: Height, 6'2"/188cm, Suit 38L, Shirt 15.5x35, Waist 32"/81cm, Inseam 33"/84cm. 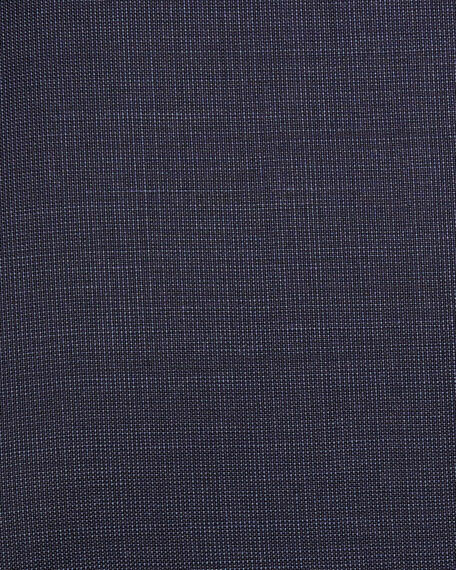 Isaia "Sanita" model two-piece suit in shadow plaid. Notched lapel with applied melton; two-button front. Soft, Neapolitan shoulder; high armhole. 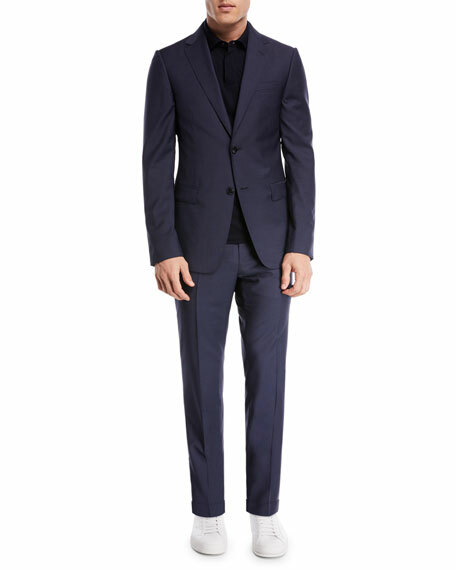 EXCLUSIVELY AT NEIMAN MARCUS TOM FORD suit in fresco knit. Notch lapel; hand-finished, double-stitched silk button hole. Two-button front with hand-stitched buttons. Front flap pockets; hand-cut chest welt pocket. Center back vent. Wool. Made in Italy. Model's measurements: Height, 6'1"/185cm, waist 31"/79cm, suit 40, shirt 15.5x35, inseam 32"/81cm.